Happy Friday everyone! I hope everyone had a great week - the family has not been feeling great here this week, so I hope we all enjoy a relaxing weekend and start to feel better! I feel like it has been a really long time since I talked about Mask Genie on here! 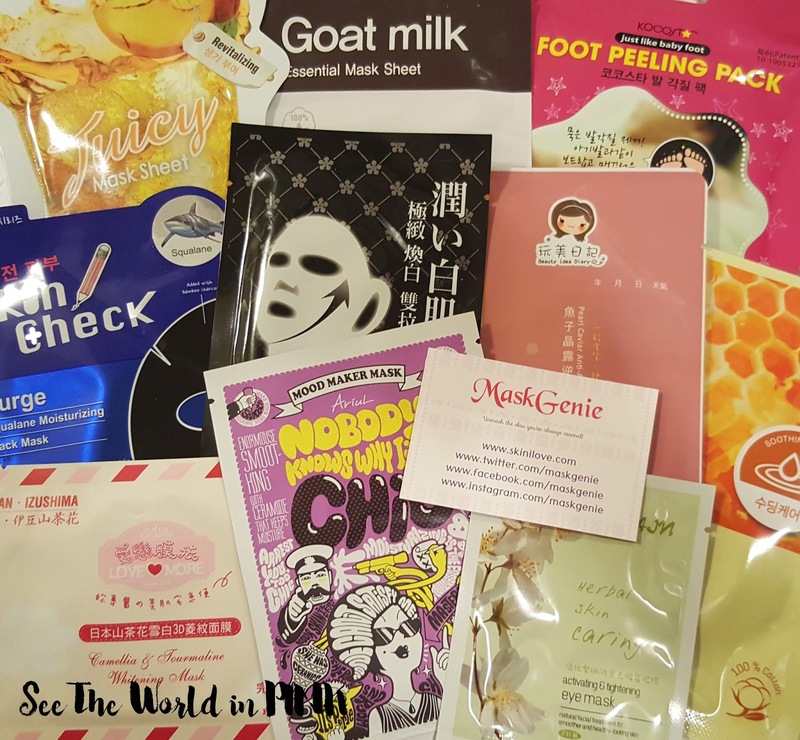 Mask Genie is a monthly mask subscription, but she also has special mask pouches you can order on the side - I had the subscription for a long time (and loved it) but since my sheet mask collection is a little insane I haven't purchase it in a while! I couldn't resist last month when I saw Mask Genie offer special Birthday pouches - 10 random masks for $10.00!!! I was sold! Here are the 10 masks that I received - there is a great selection and a lot of masks I haven't tried! If you wan't to check out Mask Genie, my past reviews are here! I had such a good night this past weekend celebrating my 30th Birthday with some of my besties! These birthday girl's nights have been a long standing tradition (they used to get pretty crazy) so this year with us getting a little older and a couple of us pregnant, it was quite tame! But, I'm glad that this still happens every year! Okay you guys, 2 AMAZING previews came out this week!!!!! Have you checked out the trailers for Beauty and the Beast and A Series of Unfortunate Events?! Here is the link to the Beauty and the Beast trailer!!! I am not usually in to the Disney live action movies, but this looks good! I love Emma Watson and I think the beast, the clock, and the candlestick look amazing! Can't wait for this one! And, here is the link to A Series of Unfortunate Events trailer! I LOVE this book series (I actually read all 13 of them alone, not with my son and think they are so great!) I may be one of the last people to not have a Netflix account, but I will be getting one in January so I won't miss this! It looks very true to the books! 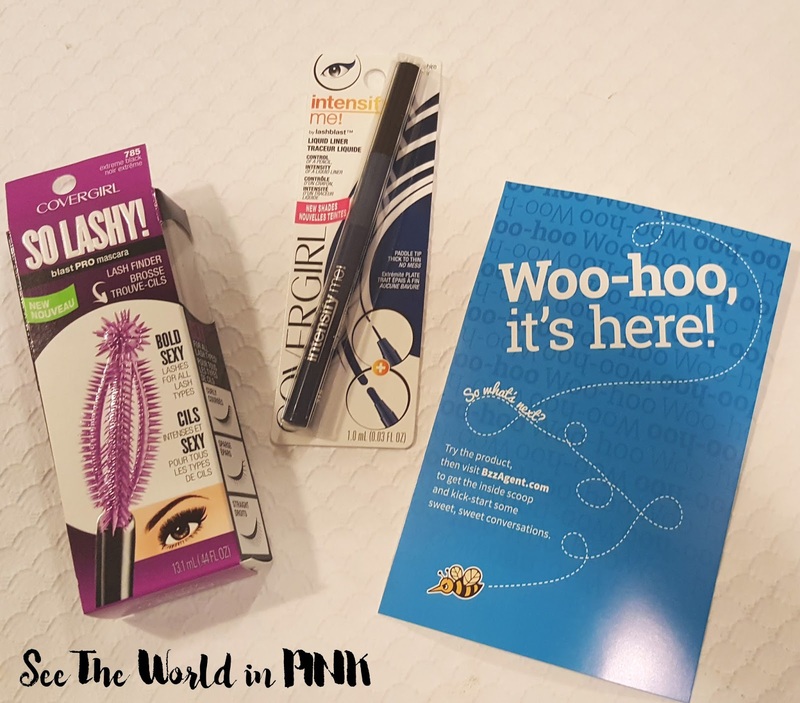 I'm so excited - I just got another Bzzagent kit in the mail! How crazy does this mascara wand look?! I will be testing these out and reviewing them soon for you guys! Have you signed up for Bzzagent yet? This is one of my favorite product review sites - you don't need a blog but they do like you to share on social media. I prefer it, because you just fill out surveys to see what products are best suited for your taste and get free goodies to review on their website! It is FANTASTIC BEASTS day!!! Hooray for all us Harry Potter fans - I have had my movie tickets pre-booked for weeks, but also a screen-play by J.K. Rowling will be released today too! I will be picking up my copy before heading to the movie tonight!! !